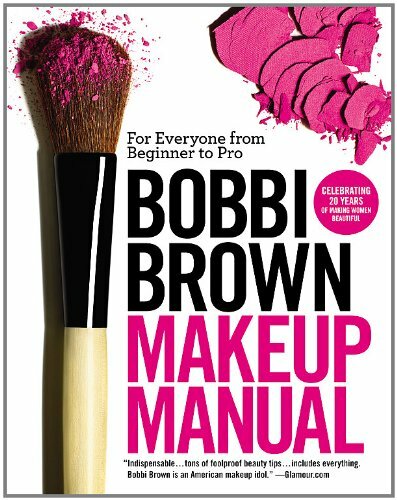 This makeup guide for beginners lists the 11 must have makeup items you’ll need to get yourself started. 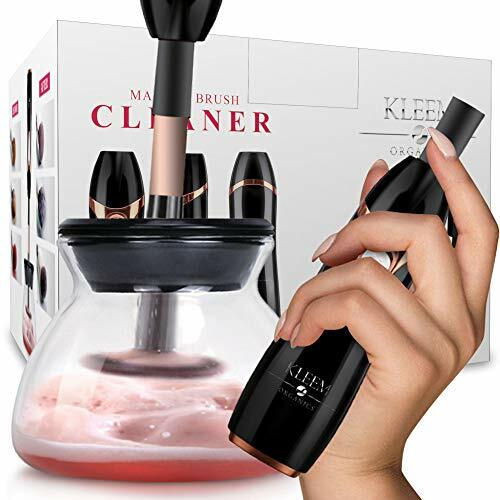 With thousands of beauty products and tools out there it can be a bit daunting. But don’t be intimidated it’s not as hard as you think. Read on to get the right items for a beginner’s makeup kit. I have includes very affordable makeup and basic tools to get yourself started. There is no need to spends a lot of money on items and products that you really don’t know how to use just yet, right? 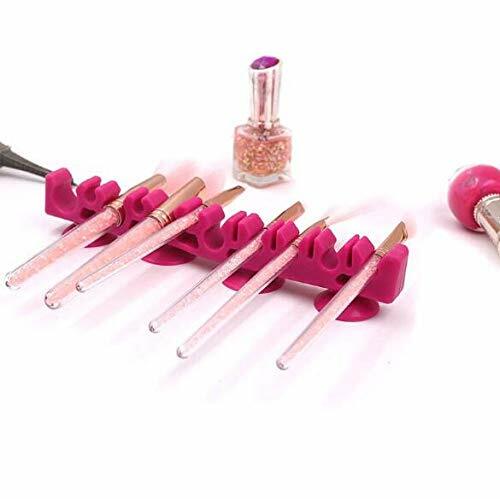 Just because it’s expensive doesn’t mean you will learn any sooner either 😉 Once you feel more comfortable applying your makeup you can gradually get yourself better tools. But for now, this is exactly what you need in your start-up kit. First and foremost you need to always apply your makeup on a cleansed face. Prepping your skin with the proper cleansing routine is essential. This means you need to have the proper cleanser and moisturizer that suit your skin type. If you don’t have a regimen yet click on the link that best fits your skin type to get one. 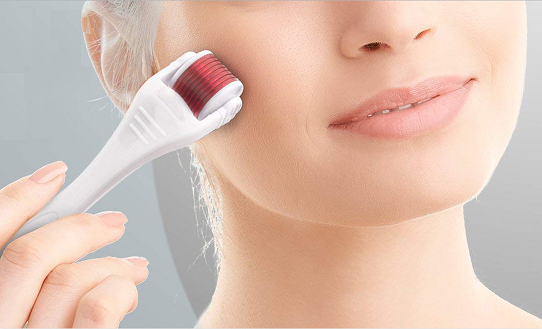 After cleansing and moisturizing your skin you are now ready to enhance your facial features with makeup. 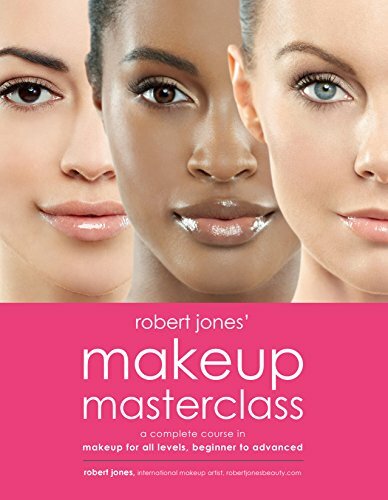 In this makeup guide for beginners, you will need a primer for the face and one for the eyes. 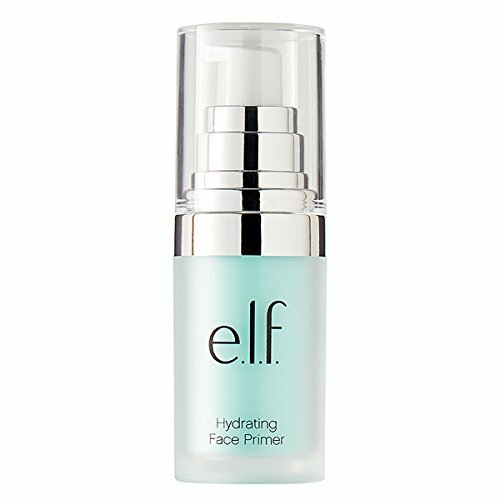 Primers prevent makeup from fading and leave your skin looking flawless. Foundation and an opaque concealer are a must for your makeup kit. A lightweight foundation is great for beginners. It eliminates the risk of caking. For an opaque concealer, it’s best to get one that is the closest to your skin tone. The concealer would be used under your eyes and where there are uneven skin tones. 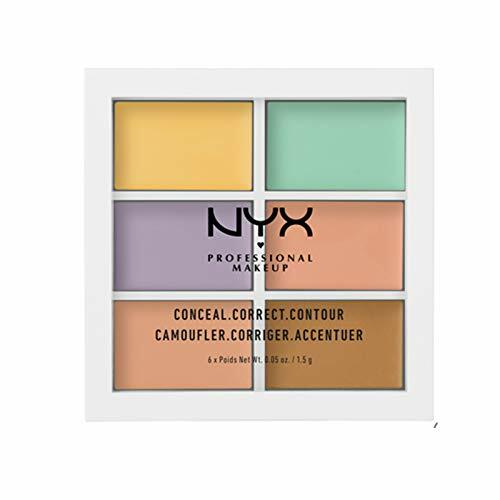 To camouflage the blemishes a bit more use a color corrector pallet. 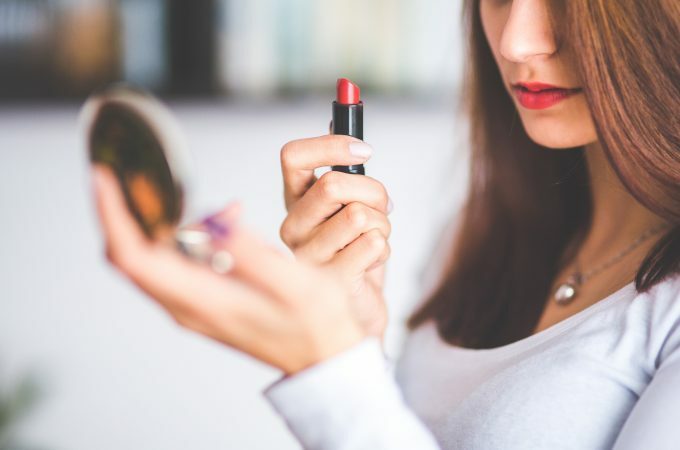 This makeup guide for beginners does say 11 must-have items but a color corrector is a great addition to your makeup kit. They are not very hard to use. 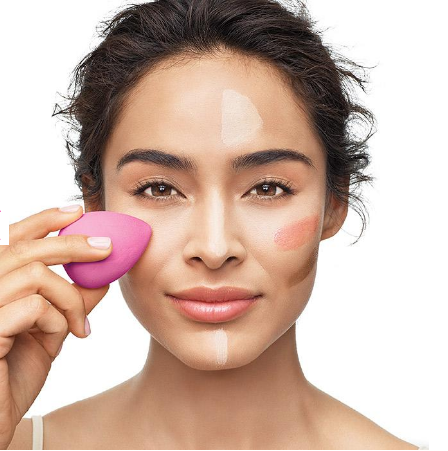 With a beauty blender, makeup sponge or fingertip apply a thin layer onto the blemish or dark eye circles then gently pat your foundation over the corrector. 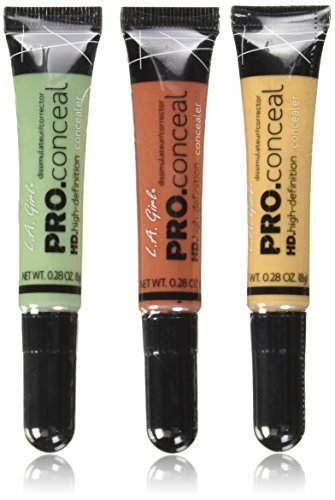 If you use a color corrector for dark circles use a concealer that is closest to your skin tone ontop of the corrector. Here is a list of what colors cancel each other. Green is opposite the color wheel from red, so it’s perfect for hiding any redness on your face, like pimples and acne scars. 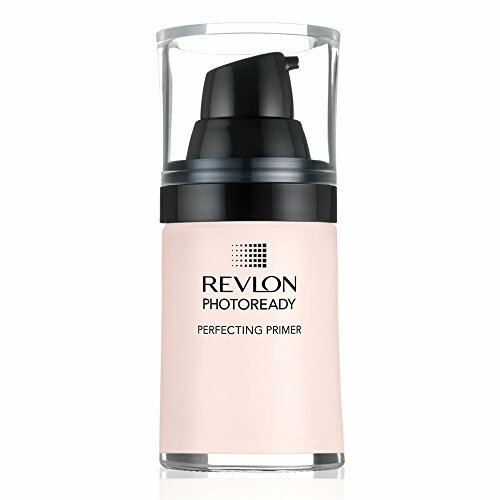 If you have rosacea, a color correcting green primer will help hide unwanted redness and give you an even base for applying foundation. Orange is the opposite of blue. If you have darker skin with blue dark circles, orange will work to help conceal the uneven undertones. People with lighter skin should avoid orange and instead use a peach color corrector. Pink concealer is usually salmon or peach in tone and is created from a mix of red, orange, and yellow hues. 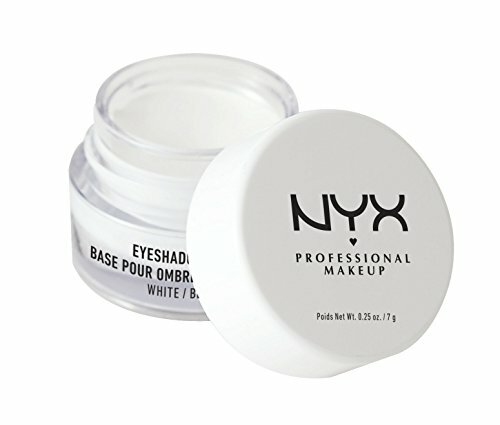 Since these colors are opposite from blue, green, and purple on the wheel, this corrector is best for hiding dark eye circles on lighter skin tones. 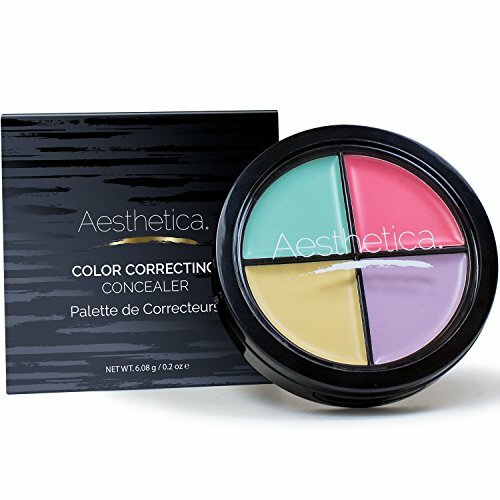 Yellow color correcting concealer can be used to cover up any blemish that’s purple in tone. Bruises, veins, and under eye circles can be hidden with a yellow spot concealer. Purple is best for combatting yellow undertones and brightening skin. 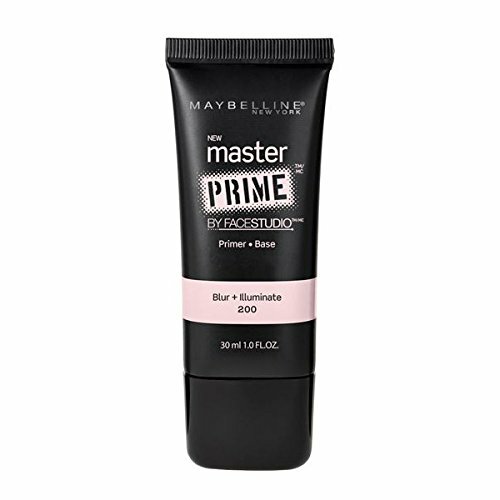 Use a purple primer to remove yellow tones from your entire face or use a spot concealer to hide yellow spots. 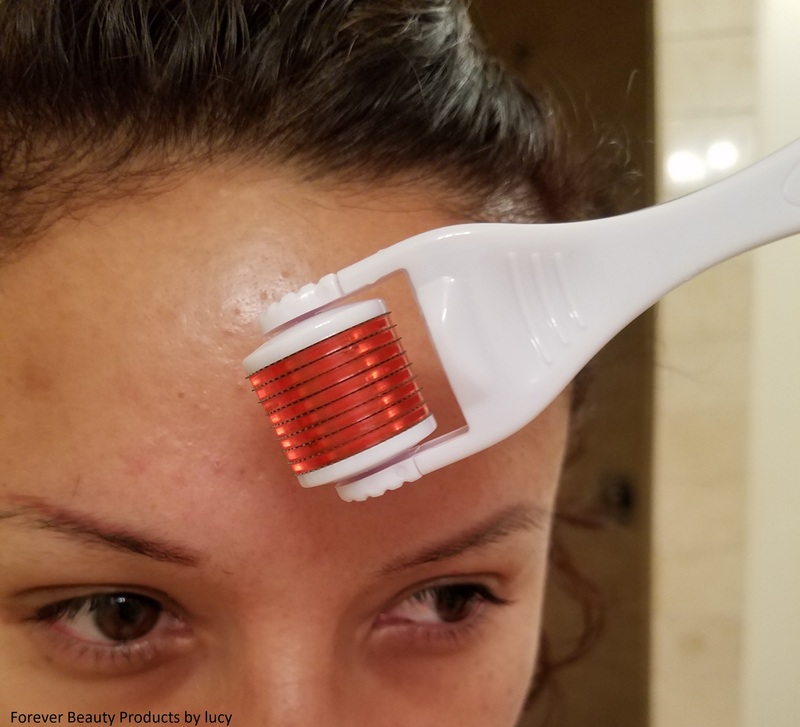 Click here to learn more about applying blush and highlighter. To this makeup guide for beginners, I added eyeshadow but it’s really not a must have in your starter kit. If you would like to add one I would recommend Avon True Color Multi-Finish Eyeshadow Quad or Avon True Color Matte Eyeshadow Quad. 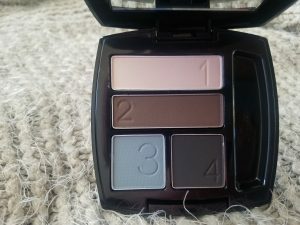 Not only do they have many beautiful subtle shades to pick from but they also have numbered shades so you won’t have to guess which shade goes where. It’s the perfect pallet for beginners. 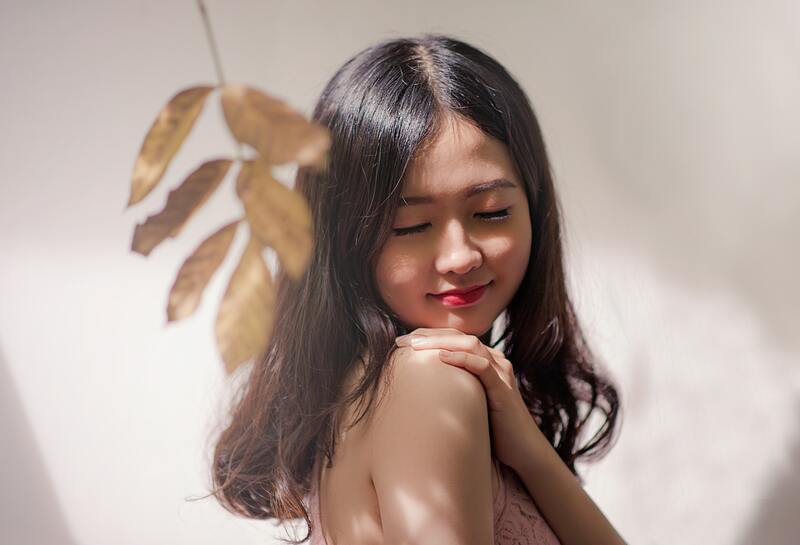 Don’t know which eyeshadow looks best with your eye color click here to learn which colors enhance your natural eye color. Eyeliner is another option to enhance your eyes but it’s really not a must. If you are like me with sparse eyebrows than an eyebrow gel or an eyebrow pencil to fill in the gaps would be another item that needs to be in your starter kit. Or if you are one of the lucky ones and has uncontrollable brows than a clear sculpting eyebrow gel is needed in your kit. The next item I like to call the “icing on the cake” which is mascara. This is a must! 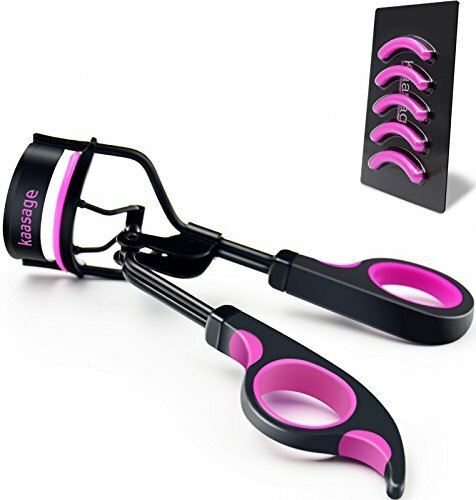 With the right eyelash curler and the right mascara, your eyes will look big and brighter. Mascara just completes the entire look. Click here to find the right mascara and learn which color mascara to use. 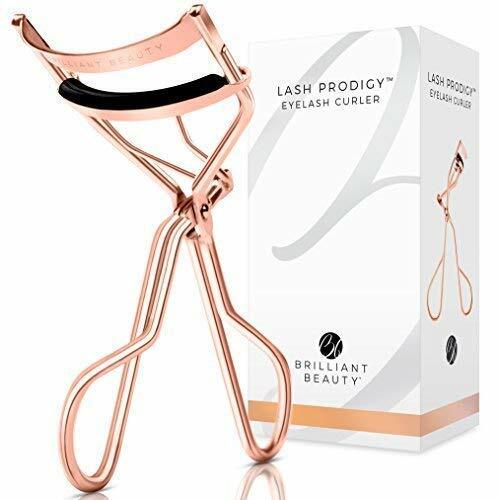 I found this great article on the Best-Reviewed eyelash curlers on Amazon it talks about the different kinds out there and guides you to the proper eyelash curler for your eye shape. Last but not least lipstick now this is the cherry on top. I personally love lipgloss for the summer and lipstick in the cooler season or for night outs. 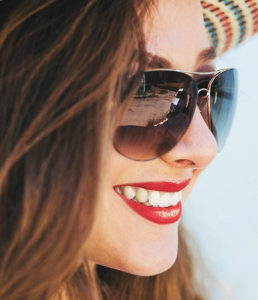 Click here to Find the Best Lipstick for You. Another item you can add to your kit would be a setting spray. These sprays are very useful, it keeps your makeup in place longer. Very useful especially when there is a lot of humidity. What you want to look for in a setting spray is the finish it leaves. Setting sprays come in a matte finish and a dewy finish. Which one should I use you ask; well this is what I recommend if you have oily skin than matte is best for you and if you have dry skin than dewy is the right one. 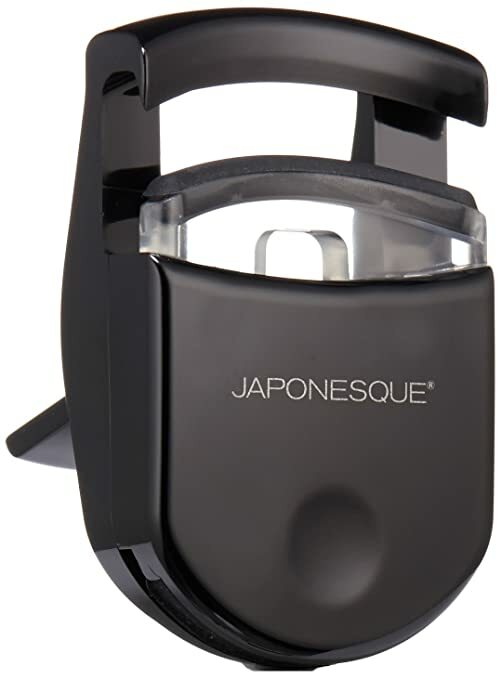 Eyelash curler which I mentioned above. If you decide to use eyeshadow than eyeshadow brushes as well as a blush brush will be needed. Here is a great set of brushes. The set is perfect for beginners. 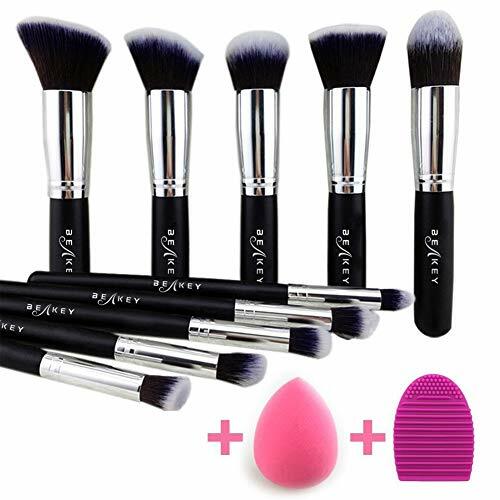 It comes with all the brushes you need to get started and as a bonus, a beauty blender and a brush cleaner are included. Not only are they of great quality but they are at a very good price point. The other two items I have listed are something to really think about. One is a brush cleaner and the other is a rack to dry the freshly washed brushes. I highly recommend these items because they will keep nasty bacteria that builds up with time on your brushes away from your skin. Oh and don’t forget the cleansing solution. That’s all you need for your beginner’s makeup kit. Never pump your mascara, just in and out. Pumping will get air in the tube and dry out your mascara very fast. If this happens just add about three drops of eye contact lens cleaner solution and the mascara is good as new. Always do your makeup in natural lighting preferably close to a window where natural sunlight comes in. 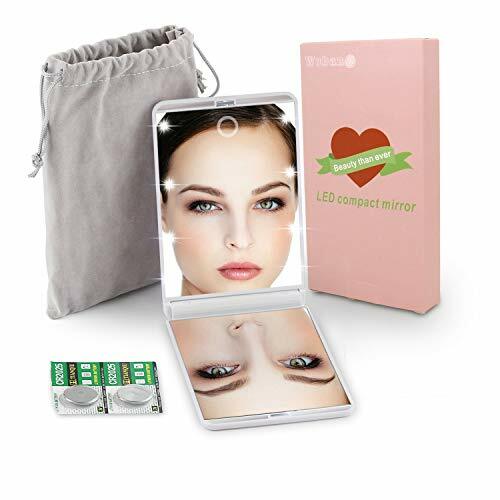 If you are doing your makeup in the evening then get yourself a well-lit mirror. 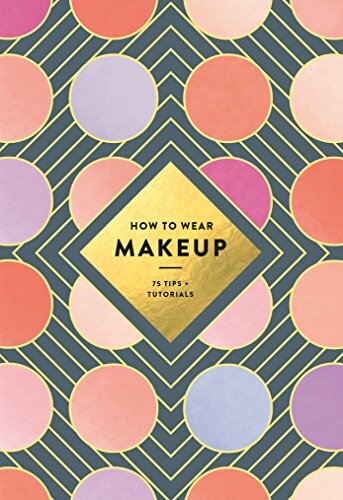 If you don’t know how to apply makeup here are some great books that can guide you. Oh, I almost forgot, you need to put all your new stuff somewhere I would recommend a makeup organizer. 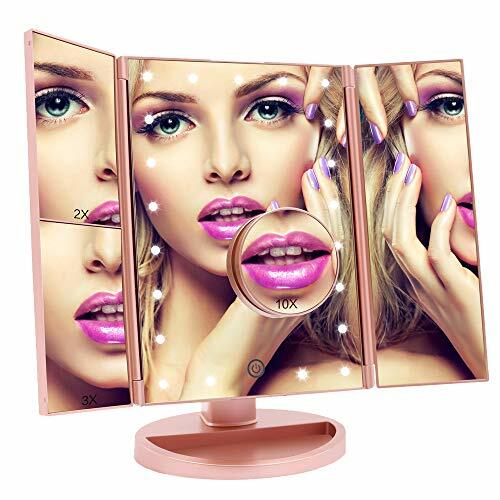 If you’de like more makeup info and tips click here.